What are the ISO 45001 Occupational Health and Safety Management Systems Requirements? 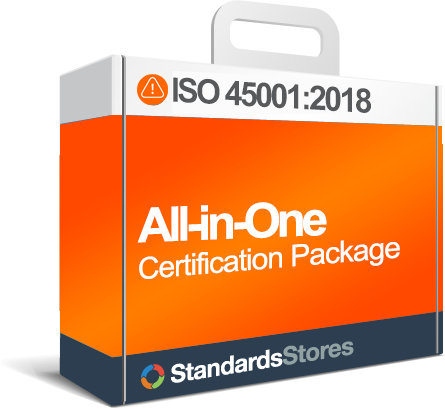 Here we’ve “broken down” the updated ISO 45001 standard to make it easier to understand and put into action. There are 10 major sections (or clauses) with supporting sections (or sub-clauses). Each of these sections has a specific focus and expected implementation, which are seen as being key to achieving the outcomes expected by this occupational health and safety management system. What are the major elements of ISO 45001:2018, and why they are important? The implementation of an occupational health and safety (OH&S) management system is intended for an organization to improve its OH&S performance and enhance health and safety in the workplace by enabling the management of Occupational Health and Safety risks. Is used to enable an organization to provide safe and healthy working conditions that prevent work-related injury and ill health. Notes the value and need for a health and safety management system based on continual improvement and achievement of objectives. Can be adapted to virtually any organization, product or service. For more information: Read section 4.3. 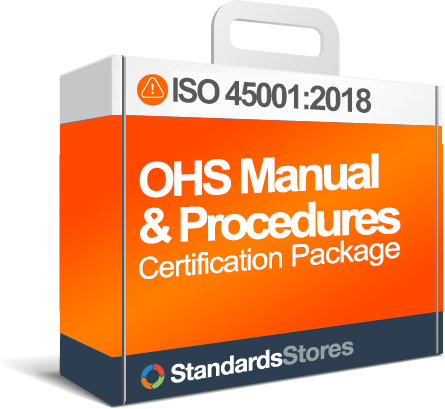 This section references the definitions that apply to the ISO 45001 document. the OH&S and the OH&S processes along with their applicability and interactions need to be determined. This second clause requires that your top management demonstrates leadership and commitment with respect to the OH&S management system. This section also asks top management to establish, implement and maintain an OH&S policy that is appropriate to your company and to ensure that the organizational roles, responsibilities, and authorities for relevant roles are assigned, communicated, and understood. In addition, your company is required to establish, implement and maintain systems for participation by and consultation with both non-managerial and managerial workers in dealing with the OHSMS. This third clause talks about the planning for the OH&S management system, where your company needs to consider the issues referred to in previous clause 4.1, the requirements of clause 4.2, the scope of the OH&S system per clause 4.3 and determine the actions to address the OH&S risks and opportunities. The planning of actions includes systems for the identification of workplace hazards and the assessment of OH&S and other system risks, along with the identification of OH&S opportunities and other system opportunities. In addition, legal requirements and other requirements that apply to the hazards and OH&S risks need to be determined, up to date and accessible. This section also talks about establishing the OH&S objectives for the relevant functions and plans to achieve them. This fourth clause requires that your company determine and provide the resources needed to establish, implement, maintain and continually improve the OH&S management system. This section covers the resources that support the system and include competence and awareness of the workers, methods for the communication of OH&S internal and external information along with the requirements for documented information. This fifth clause requires that your company plan, implement and control the processes required for the OH&S management system and to implement the actions to address risks and opportunities as determined in previous planning clause 6. Operational planning and control include processes to eliminate or reduce OH&S risks, to manage change, and systems for procurement, contractors, outsourcing, and emergency preparedness and response. The organization must turn their strategic health and safety planning into actionable tactical or operational plans and implement them. This sixth clause requires that your company plan, implement and control the monitoring, measurement, analysis, and evaluation processes. Performance evaluation includes systems for the evaluation of compliance with legal and other requirements, internal audits, and management review, aimed at improved OH&S performance and an effective OH&S management system. Performance measurement continues to be a key element in ISO standards, and ISO 45001 consolidates most of the system level measurement requirements into a single section. This last requirement clause requires that your company manage OH&S incidents, nonconformities, and corrective actions. The improvement process includes the objectives for continual improvement and the implementation of the actions needed to continually improve the suitability, adequacy and effectiveness of the OH&S management system and to enhance OH&S performance. Please note that certain text from the ISO 45001 standard is only used for instructional purposes. Standard Stores recognizes and respects the International Organization for Standardization (ISO) copyright and intellectual property guidelines. These tools will help you understand ISO 45001 and teach it to others. 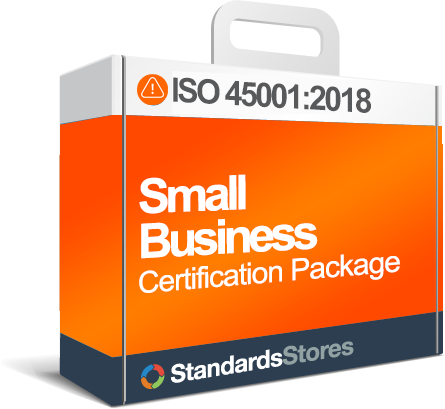 ISO Step-by-Step: Review the Steps to ISO 45001 Certification to learn how to become ISO 45001 certified. This reviews each section of the standard with speaker notes.